Criminal Minds: Actress Kirsten Vangsness arrives at Entertainment Weekly's celebration honoring the 17th Annual Screen Actors Guild Awards nominees hosted by Jess Cagle and presented by L'Oreal Paris at Chateau Marmont on January 29, 2011 in Los Angeles, California. 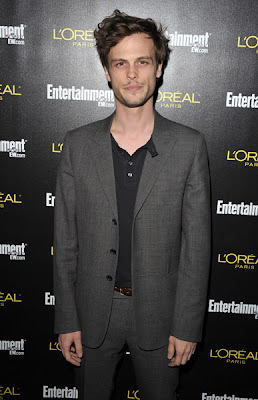 Criminal Minds: Actor Matthew Gray Gubler arrives at Entertainment Weekly’s celebration honoring the 17th Annual Screen Actors Guild Awards nominees hosted by Jess Cagle and presented by L’Oreal Paris at Chateau Marmont on January 29, 2011 in Los Angeles, California. 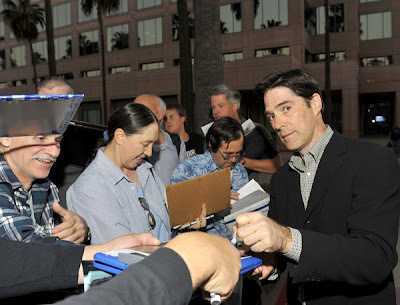 Criminal Minds: Thomas Gibson, Aaron Hotchner on Criminal Minds, will be joining us in the Criminal Minds Fanatic chat room to discuss Criminal Minds on Sunday, January 30th at 3pm EST. 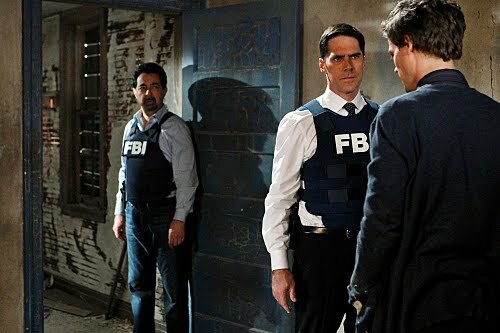 Please email the Criminal Minds moderators for the password for this chat: cmfchat@gmail.com AND make sure the subject line reads 'request password for the "Thomas Gibson Chat"
CRIMINAL MINDS SPOILER THREAD FOR "THE THIRTEENTH STEP"
Criminal Minds spoiler thread for "The Thirteenth Step" written by Janine Sherman Barrois and starring Joe Mantegna, Thomas Gibson, Paget Brewster, Shemar Moore, Matthew Gray Gubler and Kirsten Vangsness. CRIMINAL MINDS QUOTE & SONG INFO FOR "THE THIRTEENTH STEP"
Frederich Nietzsche - "What really raises one's indignation against suffering is not suffering intrinsically, but the senselessness of suffering." William Glasser - "What happened in the past that was painful has a great deal to do with what we are today." 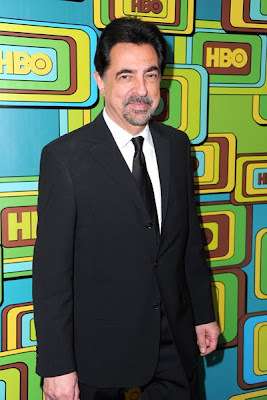 Criminal Minds: Joe Mantegna, David Rossi on Criminal Minds, will be joining us in the Criminal Minds Fanatic chat room to discuss Criminal Minds on Wednesday, January 26th at 10PM EST. Please email the Criminal Minds moderators for the password for this chat: cmfchat@gmail.com AND make sure the subject line reads 'request password for the "Joe Mantegna Chat"
In less than a month’s time, Criminal Minds will shift from being a singular crime drama to a franchise brand. Feb. 16 marks the debut of its spinoff, Suspect Behavior, and to say the original cast is less than thrilled is an understatement. In fact, they offered up some rather frank opinions on the subject to TV Guide Canada. 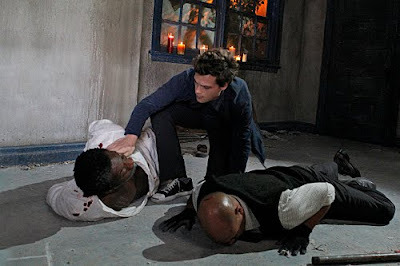 On the flip side, Thomas Gibson notes the whole Criminal brand would look bad if any part of it didn’t succeed and Matthew Gray Gubler says he’s “very curious” to see the spinoff; however, he does point out he prefers fresh ideas to Hollywood remakes. Those who keep abreast of Criminal news know that Brewster’s Season 6 deal includes a pilot out, meaning she’s free to film another television show should she so choose to. While she says nothing has struck her fancy to date, it’s very possible the BAU will have another spot to fill come next fall — yet another upset to both cast members and fans alike. “I don’t even want to cross that bridge. I really don’t,” says Gibson. 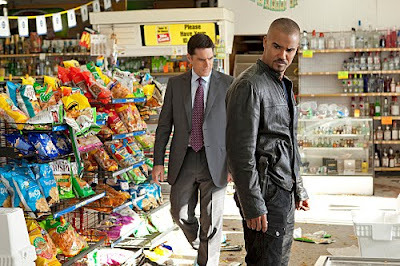 Criminal Minds airs Wednesdays at 9 p.m. ET on CTV/CBS. CRIMINAL MINDS PROMO FOR "THE THIRTEENTH STEP"
CRIMINAL MINDS SPOILER THREAD FOR "CORAZON"
Criminal Minds spoiler thread for "Corazon" written by Katarina Wittich and starring Joe Mantegna, Thomas Gibson, Paget Brewster, Shemar Moore, Matthew Gray Gubler and Kirsten Vangsness. 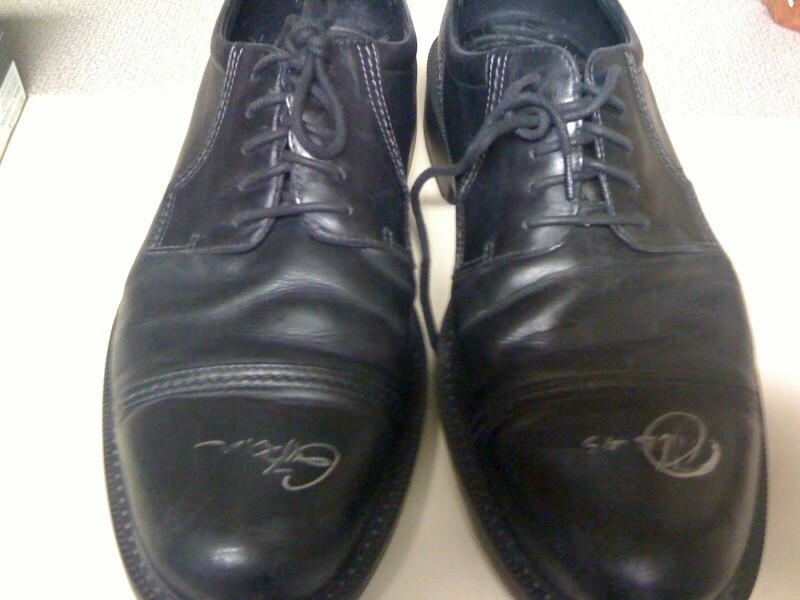 Criminal Minds: Thank you to Thomas Gibson, Aaron Hotchner on Criminal Minds, for donating the shoes he wore while portraying Hotch for the past six seasons to us to auction for the American Cancer Society. CRIMINAL MINDS PRESS RELEASE FOR "CORAZON"
Criminal Minds press release for "Corazon." 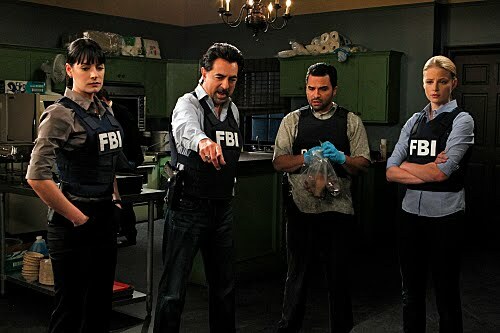 "Corazon" - As the BAU travels to Miami to investigate a series of bizarre, ritualistic murders, Reid suffers a series of blinding headaches and hallucinations that leave him concerned for his health, on CRIMINAL MINDS, Wednesday, Jan. 12 (9:00-10:00 PM, ET/PT) on the CBS Television Network. Rachel Nichols ("Star Trek," "Alias") returns as Agent Ashley Seaver. Criminal Minds: "Corazon" -- Reid (Matthew Gray Gubler, center) checks on two victims when the BAU travels to Miami to investigate a series of bizarre, ritualistic murders, on CRIMINAL MINDS, Wednesday, Jan. 12 (9:00-10:00 PM, ET/PT) on the CBS Television Network. Photo: Sonja Flemming/CBS. ©2010 CBS BROADCASTING INC. All Rights Reserved. Criminal Minds: Joe Mantegna, David Rossi on Criminal Minds, attended the HBO's Post 2011 Golden Globe Awards Party held at The Beverly Hilton hotel. Criminal Minds: Actor Joe Mantegna (R) and Miss Golden Globe 2011 Gia Mantegna arrive at the 2011 InStyle And Warner Bros. 68th Annual Golden Globe Awards post-party held at The Beverly Hilton hotel on January 16, 2011 in Beverly Hills, California. 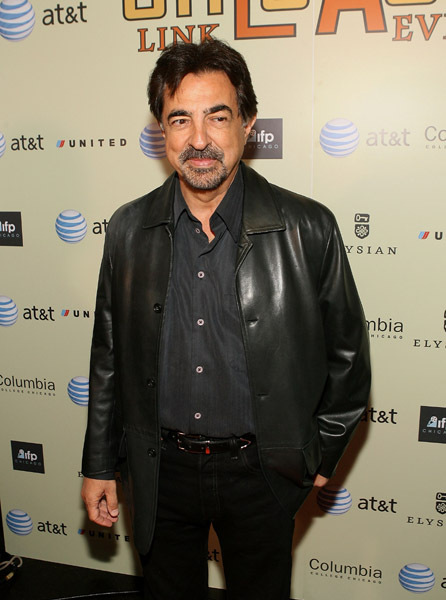 Criminal Minds: GIA MANTEGNA, MISS GOLDEN GLOBE and dad Joe Mantegna, David Rossi on Criminal Minds. Congrats Gia! Gia Mantegna talks with Kit Hoover about the “nerve-racking” process of auditioning to be Miss Golden Globe 2011. Also, what is she planning to wear to the Golden Globes? Plus, who is she dying to meet at the awards show? Criminal Minds: What's on your mind? 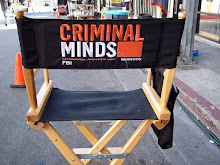 Use this thread to discuss Criminal Minds starring Joe Mantegna, Thomas Gibson, Paget Brewster, Shemar Moore, Matthew Gray Gubler and Kirsten Vangsness. 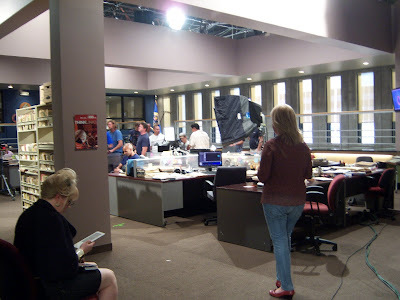 Criminal Minds: AJ Cook stars on the hit CBS drama Criminal Minds. The show revolves around an elite team of FBI profilers who analyze the country's most twisted criminal minds, anticipating their next moves before they strike again. Cook plays ‘Jennifer "J.J." Jareau,’ a confident young agent who acts as the unit liaison for the team. The show, which keeps viewers at the edge of their seat with each episode, airs Wednesday nights at 9pm. Cook recently starred in the independently produced feature film Misconceptions opposite Orlando Jones and David Moscow for Director Ron Satlof. In the film, Cook portrays a religiously conservative married Southern woman who receives a message from God instructing her to act as a surrogate mother and carry a child for a gay couple. Cook's television credits include a guest starring role on Showtime’s The L-Word; Lifetime’s thriller film Vanished; the cult Fox hit Tru Calling; and a guest appearance on Dead Like Me, Showtime’s Emmy- nominated series. She has also appeared in Higher Ground, Bluemoon, PSI Factor, Goosebumps, Elvis Meets Nixon, In His Father's Shoes and Laser Hawk. On the big screen, Cook starred in New Line’s cult hit film Final Destination II and appeared in Director Sofia Coppola’s The Virgin Suicides. Additional films include The House Next Door, Out Cold, Ripper, Kisses, and The Tinker. A.J. Cook talks about her episode of SVU. Criminal Minds: Kirsten Vangsness news: Theatre of NOTE is proud to announce the 16th Annual Hollywood Performance Marathon, on Saturday, January 15 beginning at 3pm and continuing until dawn, at Theatre of NOTE, 1517 N. Cahuenga Blvd. (just North of Sunset) in Hollywood. NOTE's Hollywood Performance Marathon celebrates its Sweet Sixteen this year with over 50 performers who will donated their time and talent to benefit Theatre of NOTE. This highly anticipated local tradition is an all-day-all-night extravaganza of eclectic performances, including comedy, pancake juggling, poetry, chin puppets, fire-eating, hula dancing, music, magic, monologues and much more! Included on the roster of incredibly diverse and exciting performances this year will be Alfred Molina (An Education, Chocolat, Frida, Spiderman 2), NOTE's own Kirsten Vangsness (CBS' Criminal Minds), Bill Brochtrup (NYPD Blue, Life As We Know It), Tom Lenk (Buffy the Vampire Slayer, Broadway's Rock of Ages), Taylor Negron (Punchline, The Last Boy Scout), John Fleck (Star Trek: Enterprise, Deep Space 9), Amy Stiller (Little Fockers, Tropic Thunder, The King of Queens), Ten West, Scot Nery, Vinyl Candy, and many more. All acts, of course, are subject to change. The 16th Annual Hollywood Performance Marathon is a one day-night event, on Saturday, January 15 at 3pm and continuing until dawn on January 16, at Theatre of NOTE, 1517 N. Cahuenga (just North of Sunset) in Hollywood. Ticket price is $20; all proceeds to benefit Theatre of NOTE. No reservations necessary. For more information, visit www.theatreofnote.com. 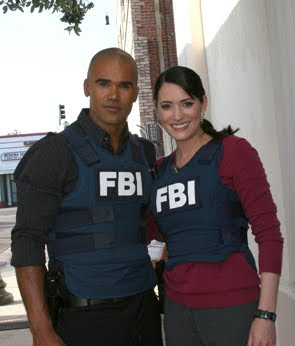 Criminal Minds: Is Criminal Minds‘ Emily Prentiss getting a new love interest? 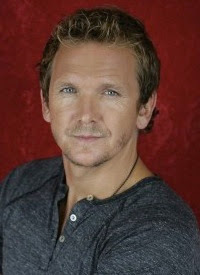 Former General Hospital hunk Sebastian Roche is joining the cast of the CBS crime drama as a recurring player, TVLine has learned exclusively.